1 Connecticut: Vital Records (The Barbour Collection), 1630-1870, New London, p. 164, Birth record for son Russell Hubbard, New England Historic Genealogical Society (Online Database). 2 Connecticut: Vital Records (The Barbour Collection), 1630-1870, New London, p. 67, Marriage record for Daniel Hubbard and Martha Coit, New England Historic Genealogical Society (Online Database). 3 Register of the Society of Colonial Wars in the District of Columbia, 1897, Washington City: Printed for the Society by the Law Reporter Co. (1897), 51, Google Books (Digital Library). 4 Coit, Mehetabel Chandler, Mehetabel Chandler Coit: Her Book, 1714, Norwich Town, Connecticut: Printed from Handwritten Manuscripts (1894), 11, Google Books (Digital Library). 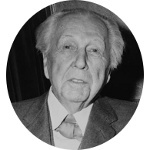 5 Roberts, Gary Boyd, "#84 Royal Descents, Notable Kin, and Printed Sources: The New England Ancestry of Frank Lloyd Wright, with Notes . . .", www.americanancestors.org/notes-on-other-architects, (accessed 09/23/2014).